Kaplan’s Professional’s FNS60415 Advanced Diploma of Financial Planning builds upon the competencies gained in the FNS50615 Diploma of Financial Planning. This qualification is ideal for individuals wanting to learn a comprehensive range of financial planning services across a variety of product environments, including those involving complex issues, innovative strategies and successful client engagement. This program also provides a pathway into the Kaplan Professional Graduate Diploma of Financial Planning. The 11 units of competency are awarded for the successful completion of the FNS60415 Advanced Diploma in Financial Planning; 8 core and 3 electives. Further information on the units of competency can be found in the subject outlines above. Individuals have a total of 57 weeks to complete the learning and assessment requirements for the FNS60415 Advanced Diploma in Financial Planning, from their initial activation date. If an individual reaches the end of their initial enrolment period and has been deemed not yet competent in one or more assessment items, then an additional 4 weeks will be granted. This time can be used to resubmit a written and oral assignment or resit an exam. The table below explains how this applies to each subject. Therefore, if an individual completes the learning and assessment, and the resubmission time in every subject is granted, the duration will be 69 weeks. The amount of training for this course may be up to 15 hours per week for DFP6 and up to 20 hours per week for DFP5, DFP7 and DFP8. The amount of training is the hours an individual can expect to spend to complete their course work and assessments. In addition to the amount of training, individuals who are new to industry or vocational training could need up to 5 hours per week for DFP6 and up to 10 hours for DFP5, DFP7 and DFP8. This is known as unsupervised hours. These additional hours are for study skills or further research. For example, an individual not working in industry would need more time to review industry websites that are usually introduced in workplace compliance training. Individuals working in industry may be able to complete the course requirements in a shorter timeframe or less hours per week. 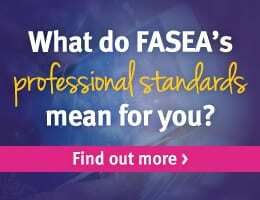 Kaplan Professional can develop a tailored education pathway for individuals working towards FASEA’s proposed education requirements. Please contact us on 1300 135 798 or studentadvice@kaplan.edu.au for information on what pathways may be available to you. Financial planners seeking a professional designation are required to undertake a postgraduate course. For more information on Kaplan’s financial planning postgraduate courses refer to our postgraduate courses. Enrol directly into DFP5–8 for $1995 (GST exempt). Individual subjects are $585 (GST exempt) each. The entry requirement for this qualification is completion of the Financial Services units from the core of the FNS50615 Diploma in Financial Planning in the Financial Services Training Package FNS (e.g. 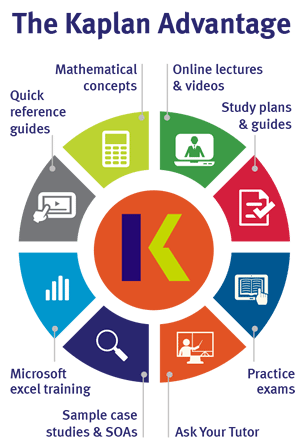 Kaplan Professional’s FNS50615 Diploma of Financial Planning). Completion of the sectoral core units and the regulatory unit FNSASICZ503 Provide advice in Financial Planning from the Diploma in Financial Planning in the Financial Services Training Package FNS10. When completing the DFP8 Advanced Financial Planning subject, although it is not a prerequisite, it is recommended that you have knowledge of securities, as the assignment incorporates tasks in this area of advice. Individuals are required to be aged 18 years or older to enrol in this qualification. You may enrol into this course at any time and begin studying immediately on enrolment, subject to prerequisites. Kaplan strongly recommends that DFP5–8 be completed in sequential order. Individuals may be able to obtain Recognition of Prior Learning (RPL) for a Kaplan Professional award subject based on their previous study and/or work experience. To do this, individuals must submit evidence demonstrating they have already met the requirements of the subject through other means. Alternatively, you can get in touch directly on 1300 320 760 or educationrequirements@kaplan.edu.au . DFP5: Tax for Financial Advising 1 Multiple Choice Exam Supervised, open book multiple choice examination, three (3) attempts. 1 Short Answer Exam Supervised, open book multiple choice examination, three (3) attempts. DFP6: Estate Planning 1 Multiple Choice Exam Supervised, open book multiple choice examination, four (4) attempts. DFP7: Client Engagement Strategies 1 Written and Oral Assignment Written and oral assignment – two (2) attempts. •	Written – A series of 7 activities spread across the subject topics which are compiled and submitted after the final task in Topic 5. The activities are generally brief in nature with a word limit applying to each. •	Oral – Oral questions and role play. The mode of oral assessment is by audio recording. DFP8: Advanced Financial Planning 1 Written and Simulated Client Presentation Written and simulated client presentation – two (2) attempts. •	Written – A major written assignment in which individuals prepare a compliant Statement of Advice for one or more clients whose circumstances are provided for them in a given case study. 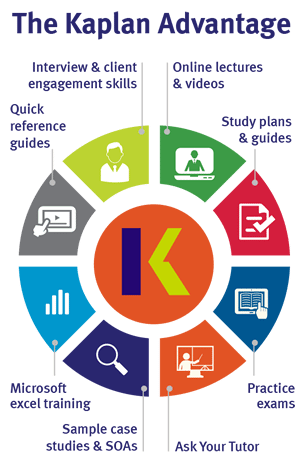 •	Simulated client presentation – Individuals present their Statement of Advice to a Kaplan Professional assessor as if the assessor is the client. The mode of oral assessment is by phone or Skype. Individuals may attempt the exam and/or submit their assignment at any time if they believe they are adequately prepared. Individuals must be deemed competent in all assessment items, including demonstrating competency in all of the exam questions, in order to be awarded their qualification or course. Individuals who successfully complete DFP 5, DFP6, DFP 7 and DFP 8 will be awarded the FNS60415 Advanced Diploma of Financial Planning qualification. You can sit your exam while being supervised in your workplace or at a Kaplan office. Click here for Kaplan Professional office exam times and venues. •	Oral - Oral questions and role play. The mode of oral assessment is by audio recording.